More Mahler in the final full week of this glorious season of the Proms and it’s difficult to believe it’s nearly all over bar the traditional bobbing up and down at the Last Night. 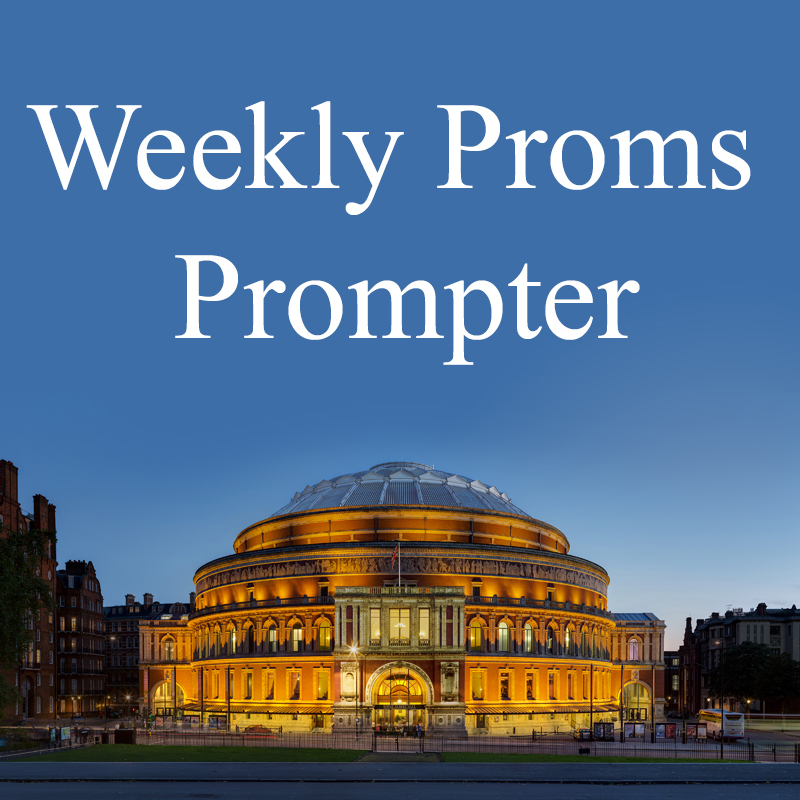 But it’s to another M for my first recommendation for this week and Mendelssohn, as the beautifully evocative Fingal’s Cave (the Hebridean Overture) is part of Sunday’s Prom. 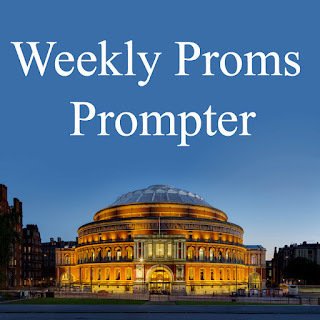 Next on the list is Wednesday Prom, which may at first glance be seen as a bit of a downer with all the funereal titles but the music is superb and I am interested to hear the "lost" Stravinsky. Last recommendation to round off 8 weeks of wonderful music is some "proper classical piano" with Bach's Well Tempered Clavier on Thursday - and a laugh at the fact that we're only getting book one this time and will have to wait til next year to hear the second part. That's one hell of an interval! For their second concert, the Royal Concertgebouw Orchestra and Daniele Gatti pair two of the repertoire’s sunniest symphonies: Mahler’s song-filled Fourth and Haydn’s ebullient No. 82, nicknamed ‘The Bear’. Pablo Heras-Casado and the Freiburg Baroque Orchestra bring authentic colour to some of Mendelssohn’s best-loved works, including the overture The Hebrides and the Fifth Symphony. Isabelle Faust is the soloist for the lyrical Violin Concerto. Valery Gergiev and the Mariinsky Orchestra and Chorus mark the 100th anniversary of the Russian Revolution with performances of Prokofiev’s extravagant October Revolution cantata and Shostakovich’s darkly evocative Fifth Symphony. The Pittsburgh Symphony Orchestra and Manfred Honeck perform Mahler’s First Symphony, a work charged with all the narrative energy of a tone-poem, and John Adams’s joyous Lollapalooza. Anne-Sophie Mutter is the soloist in Dvořák’s Violin Concerto. American pianist Jeremy Denk joins Karina Canellakis and the BBC SO for Bartók’s ferociously brilliant Second Piano Concerto – a contrast to the pastoral beauty of Dvořák’s Symphony No. 8. The concert opens with Missy Mazzoli’s mesmeric Sinfonia. The LPO marks the centenary of the Russian Revolution with Prokofiev’s ‘Mendelssohnian’ First Violin Concerto and Shostakovich’s Symphony No. 11. Stravinsky’s Funeral Song, lost for over a century and rediscovered in 2015, opens the concert. The two volumes of Bach’s The Well-Tempered Clavier together represent a wealth of musical invention, ingenuity and delight. Eminent Bach-specialist Sir András Schiff here performs Book I – concluding the cycle next year with Book 2. Pianist Emanuel Ax joins the Vienna Philharmonic for its second Prom this season, under Michael Tilson Thomas. Beethoven’s Seventh Symphony sits alongside Brahms’s ‘Haydn’ Variations and the quasi-operatic lyricism of Mozart’s Piano Concerto No. 14.